At the forthcoming Pharmapack 2019, Romaco will show the Promatic PAK 130 semi-automatic case packer. This tertiary packaging solution is shipped ready for aggregating pharmaceutical packaging. The Promatic PAK 130 is a semi-automatic case packer which packs cartons into cases. The technology is easy to use and is shipped ready for integrating aggregation solutions. It thus addresses the requirements of the new EU Regulation 2016/161, which comes into force on February 9, 2019. The delegated act supplementing the “Falsified Medicines Directive” contains detailed provisions in respect of security features applied to the packaging of medicinal products for human use. The aim is to enable a drug’s origin and legitimacy to be clearly identified using track & trace methods. The labelling requirement is intended to prevent counterfeit drugs from entering the legal supply chain. For this reason, the Promatic PAK 130 was designed to be connected to software solutions which provide secure aggregation. The pharmaceutical manufacturers themselves are free to decide which suppliers they eventually purchase their aggregation systems from. Romaco Promatic then configures the system accordingly. In this way, the semi-automatic machines in the product family ensure compliance with the latest anti-counterfeiting standards for pharmaceutical production. On the Promatic PAK 130 both the grouping, aggregation and stacking steps and the insertion of the cartons into the cases are fully automated. The only manual steps are case erection and feeding. The filled cartons are generally removed by hand, although this can optionally be automated using a buffer. Thesystem currently achieves a maximum output of up to five cases per minute. A system for closing the carton flap with adhesive tape can be installed as an option. The case packer has a compact, ergonomic design with a very small footprint and is easy to clean and quick to retool. What’s more, the technology is altogether affordable to purchase and inexpensive to maintain. 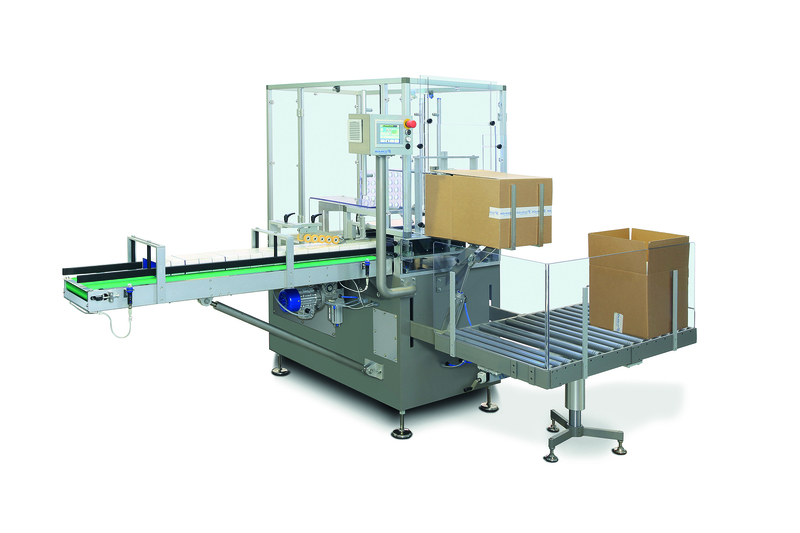 The Promatic PAK 130 is hence an ideal final packaging solution for numerous line configurations. Together with the Promatic PTT track & trace labeller, the PAK 130 forms an integrated anti-counterfeiting solution.